A brutal winter storm has invaded the south like a Yankee army, this time terrifying the locals with millimeter upon millimeter of snow and ice instead of emancipation. Some of these people have attempted to drive and the results have been hilarious. 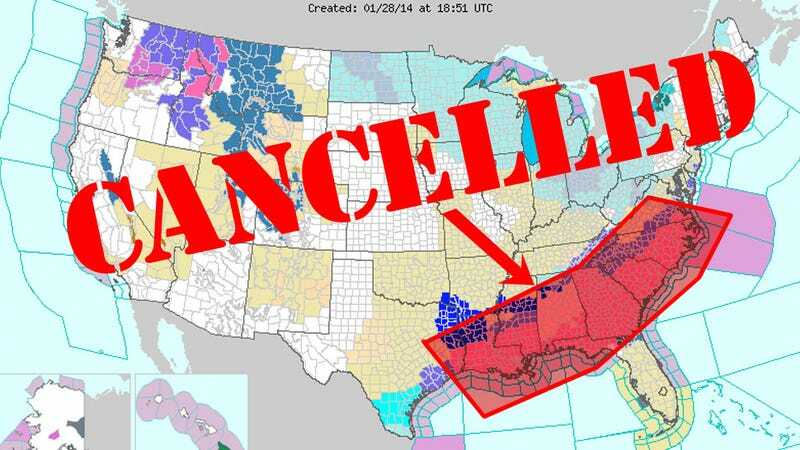 In light of this, the following states have been cancelled until temperatures rise above freezing.